At Arbor, chef Eric Raty’s poetic compositions and affinity for Asian ingredients are fashioned into modish, Nordic-tinged presentations that demonstrate a serious level of skill that demands attention. 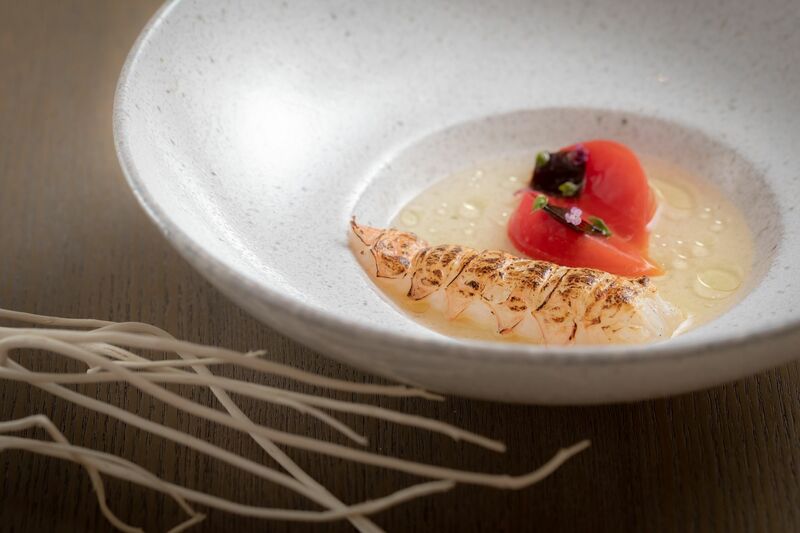 The chef has designed a menu that skips effortlessly through a pristine list of ingredients: oysters, langoustine, wild sea bass, forest mushrooms, A4 wagyu, French peaches. You’ll find classic preparations with confident updates: tart umeboshi coulis and fresh cherries are used, for example, to complement a tiny, intensely rich serving of fudgy foie gras parfait. The sumptuous banquettes, fine art and terribly expensive crystal candleholders are testament to the upper level of luxury that this restaurant caters to—an effect that is countered with the deployment of millennial pink for the walls and a buzzing wine bar. Oenophiles should pay special attention to the expertly curated wine programme courtesy of wine director Sebastien Allano.